Author: Ichikawa, Satomi Set In . . . 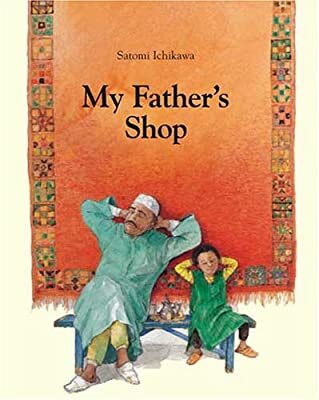 Description: There is a rug in his father s shop that Mustafa loves. (It has a hole in it, so you can put it over your head and still see out.) No one else wants the rug, though lots of tourists visit the shop. His father always welcomes them "Bienvenue" and offers them tea "O cha wa ikaga desu ka?" Mustafa s father would like him to know some words in other languages too, and he tells Mustafa that he may have the rug if he agrees to learn. But after the first lesson, Mustafa is so bored he runs out of the shop (with the carpet on his head). Ending up at the market, he finds a very different way of learning foreign languages...and of getting tourists to visit his father s shop.